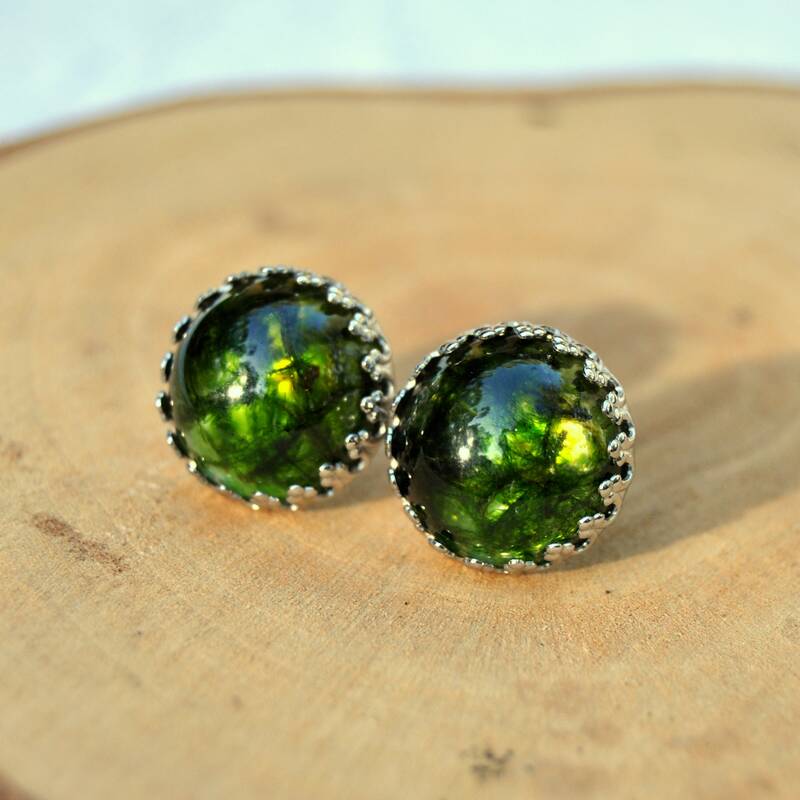 These beautiful, woodland theme earrings are made from real moss, which grows on the forest floor near my studio. 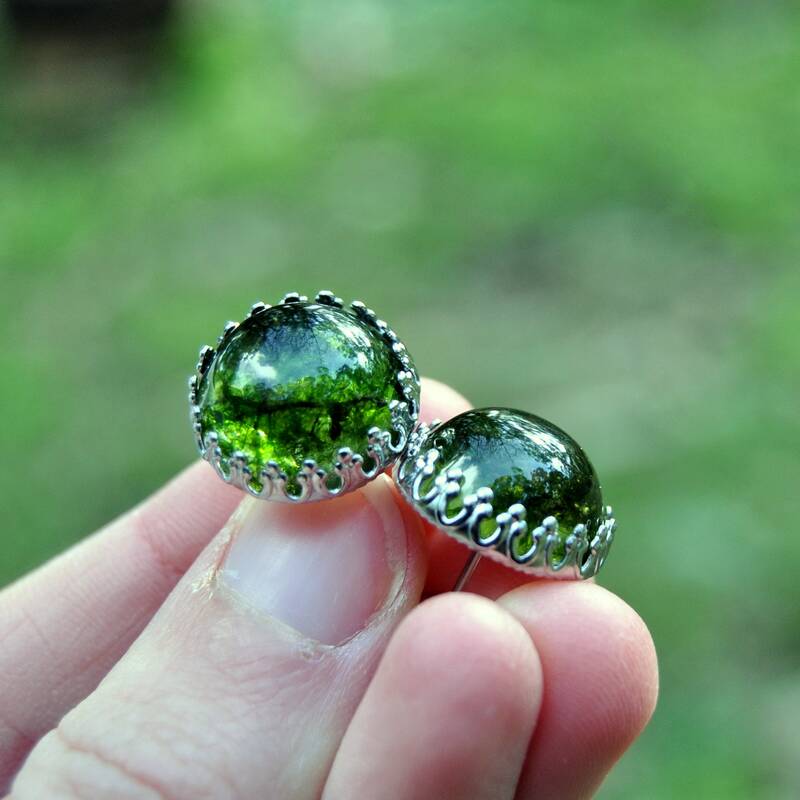 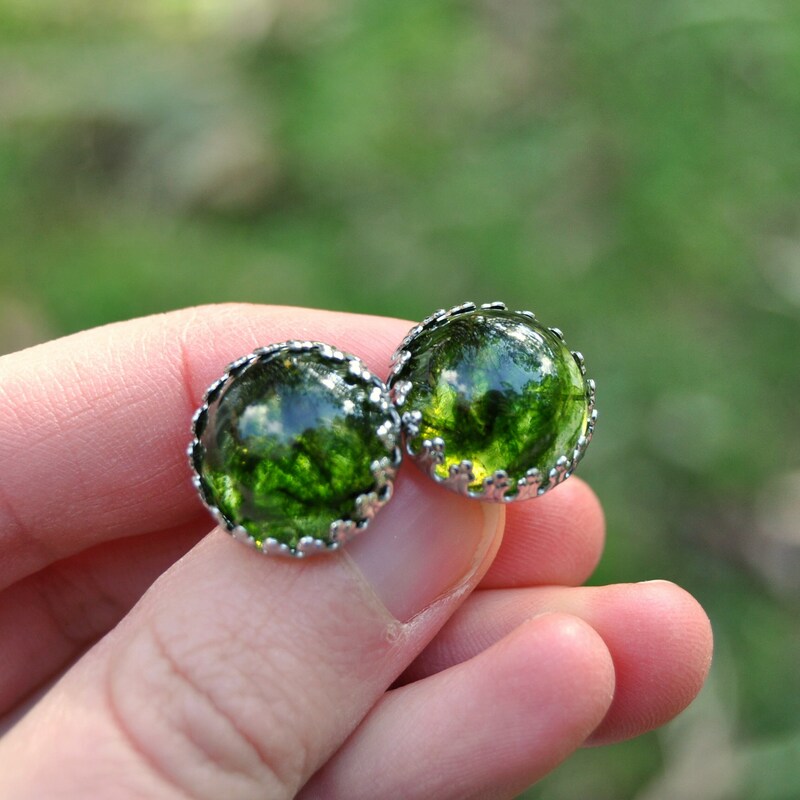 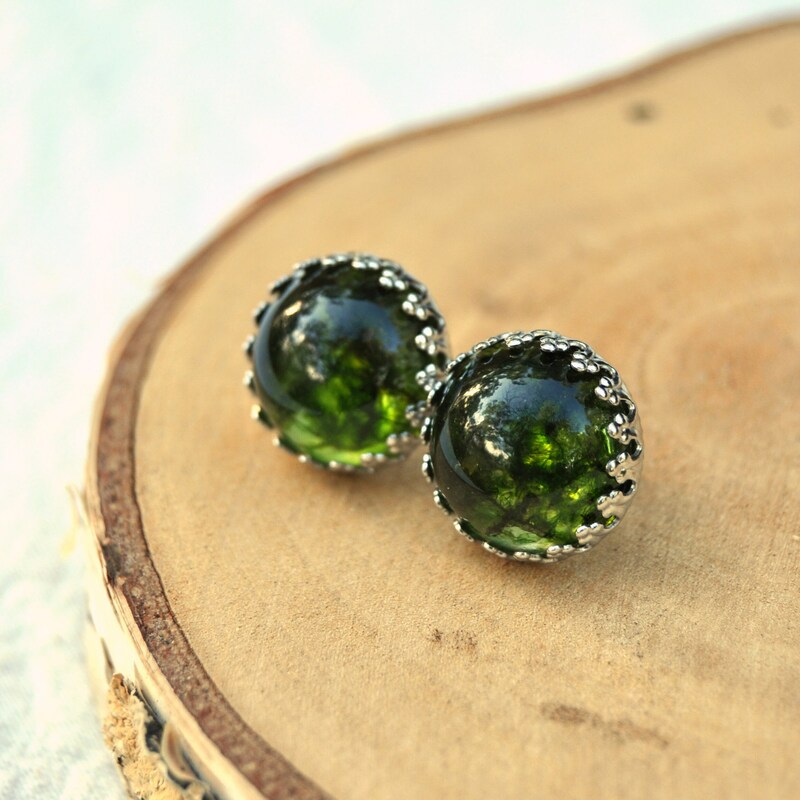 Preserved in clear eco resin, the moss in these terrarium-like earrings is a a lovely and bright emerald green, and glows magically in the sunlight. 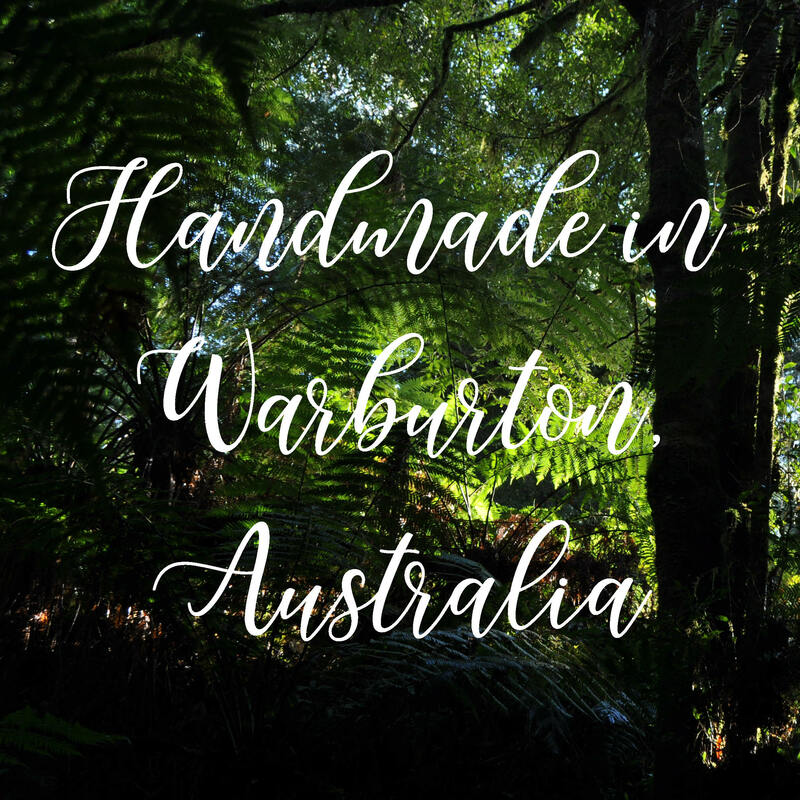 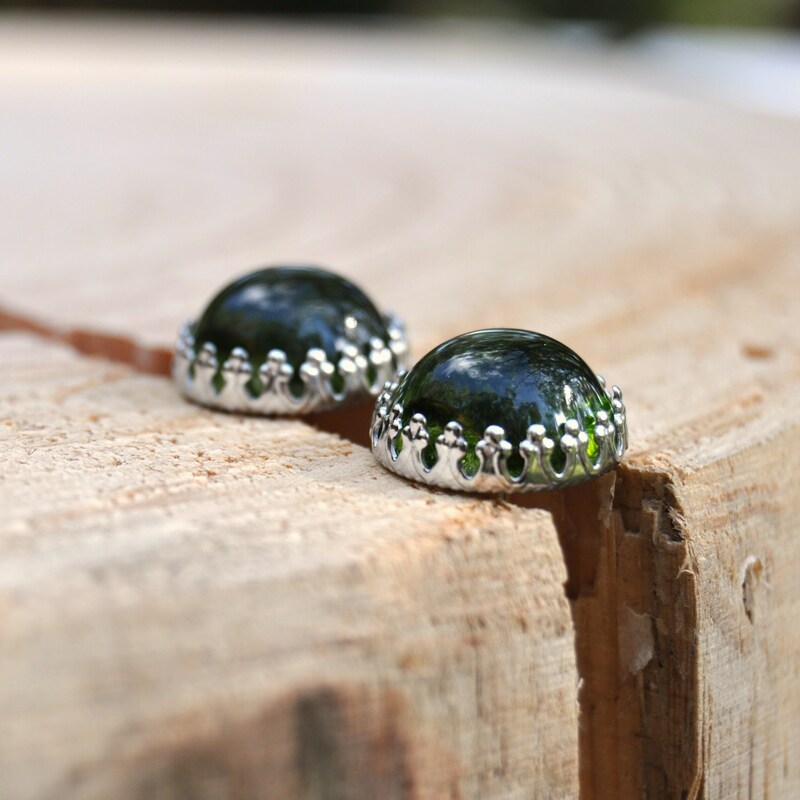 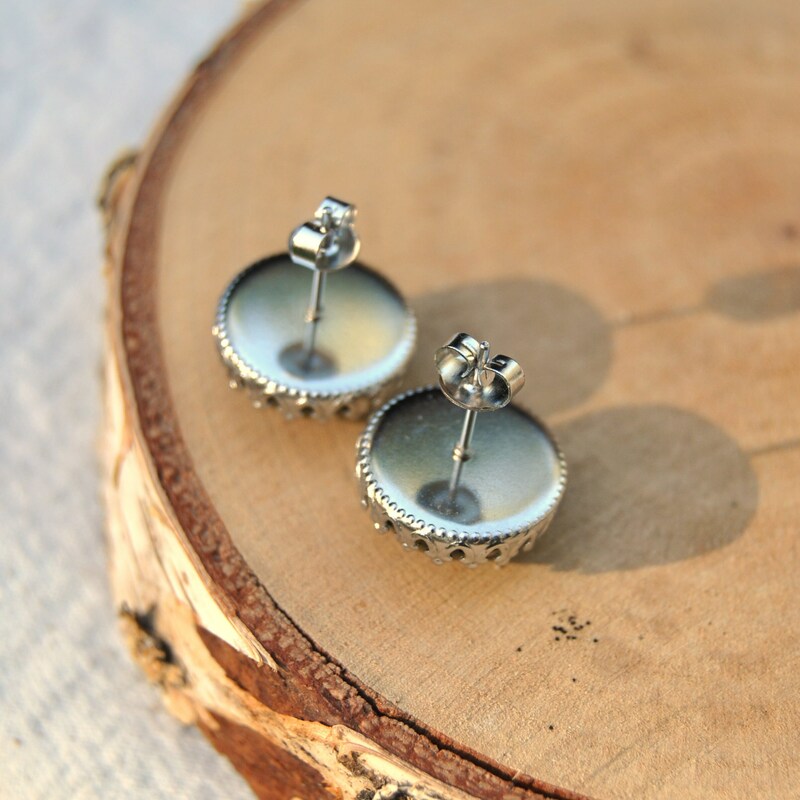 Each cabochon has been formed in a smooth half dome, then set in a non-tarnishing, stainless steel crown setting, giving the earrings a vintage and Victorian look. 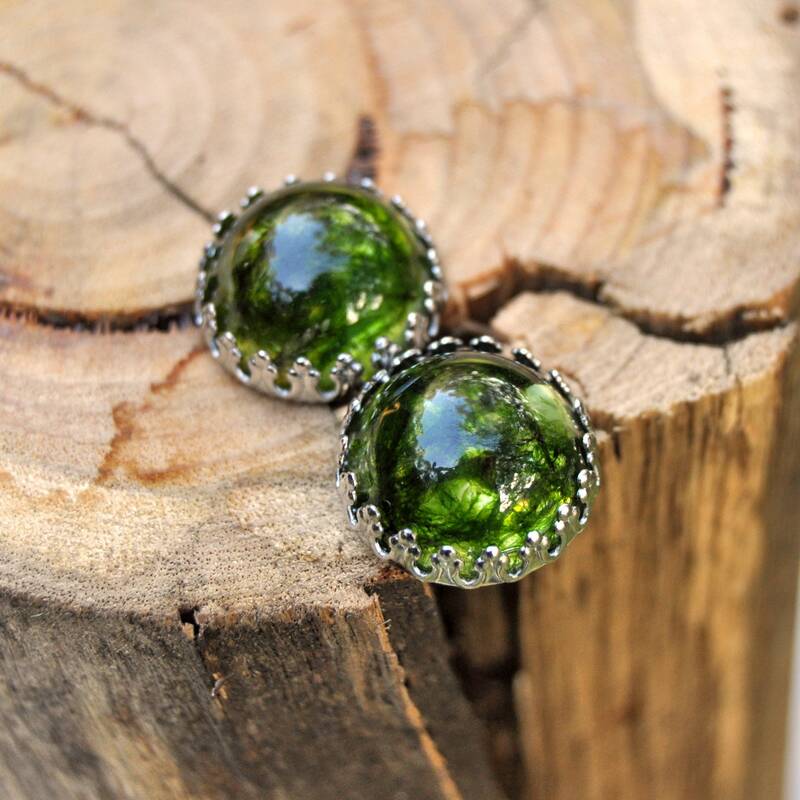 Earring measure approximately 16 mm across.